Today we have a special edition. that have never taken a cruise under the company's flag. As we already know, a legendary liner, SS Norway, had sailed under the flag of Norwegian Cruise Line for a long time. The ship had served the company for more than 20 years. Perhaps the company's management had their heart set on the classic liners, or they wanted to revive history. Who knows? 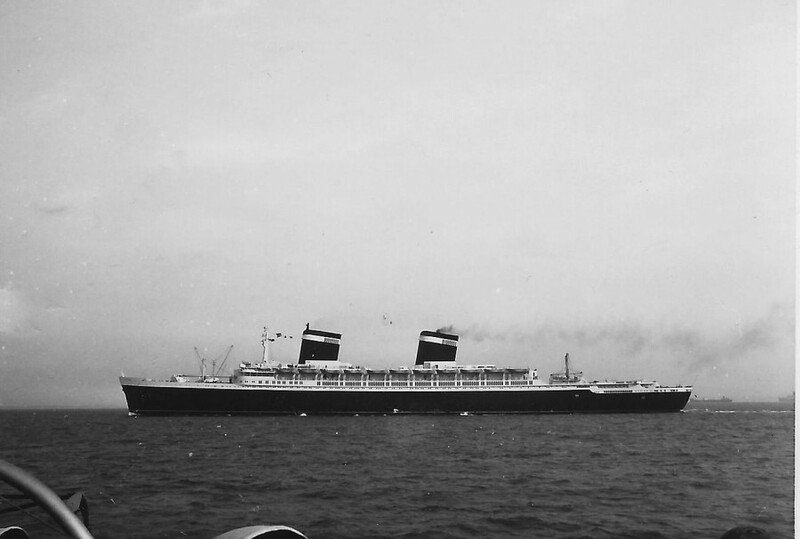 Nevertheless, after it became clear that SS Norway could no longer operate cruises, the company unexpectedly bought two famous liners: Independence and United States. Probably providence wanted the most famous liners to get their "second wind." It happened relatively recently, in the year 2003. We are interested in what exactly influenced the company's plans to buy two liners constructed in the 50's with a tonnage of 20,000 and 53,000 tons respectively. 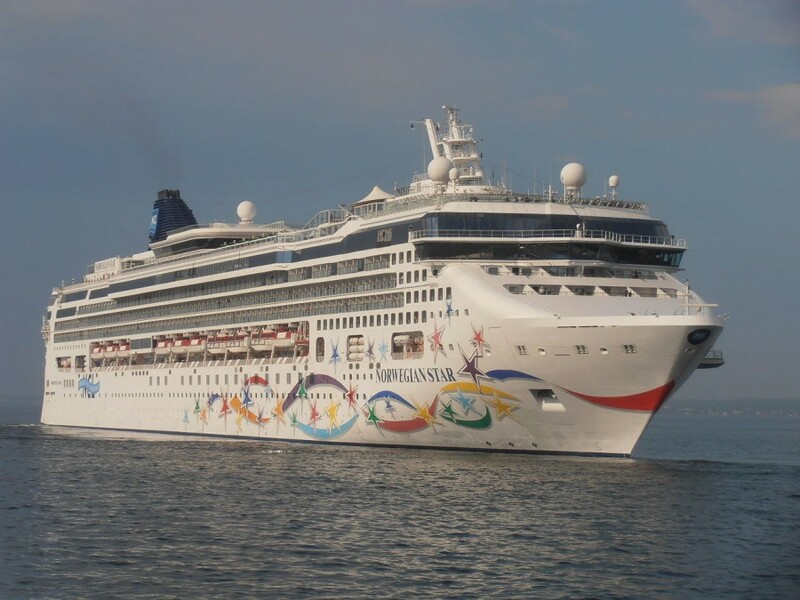 It's especially interesting given the fact that by the beginning of 2003, the NCL's fleet included not only the "mid-size" liners, including those familiar to us from the past articles: Norwegian Sea, Norwegian Dream, Norwegian Wind, and Norwegian Majesty. And the "smallest" one had the tonnage of 41,000 tons. Besides these ships, by 2003, the company had 4 modern ships in its fleet: Norwegian Sky, Norwegian Sun, Norwegian Star, and the newest 92,000-ton Norwegian Dawn. We do not know what the company's motives were, but it does not prevent us from telling you about the fate of these ships before they joined the NCL's fleet, as well as about what happened to them afterward. So, in 2003, NCL bought two classic liners at auction. Let's start our story with the less known but still elegant one - from Independence. 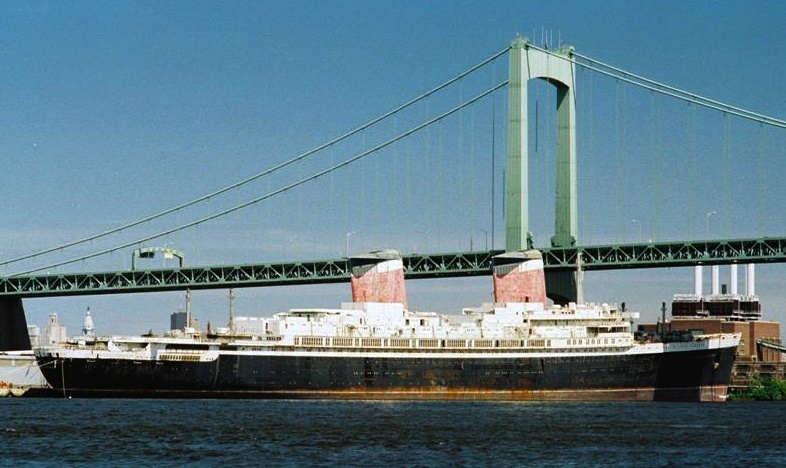 SS Independence is the ocean liner that was built in the USA. 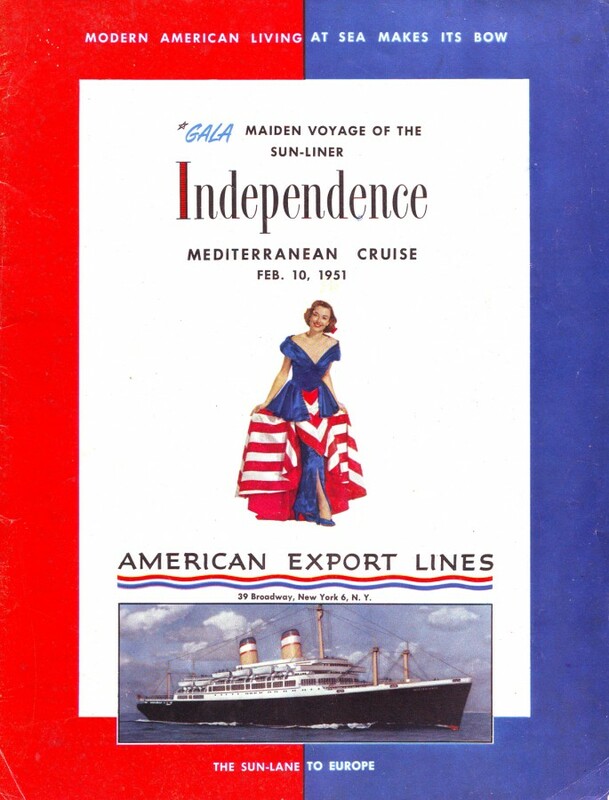 In 1951, the ship took her first "cruise" under the flag of American Export Lines. It is worth noting that the ship was built and put into the fleet simultaneously with her sister, SS Constitution. SS Independence took an exciting maiden voyage. It was longer than 13,000 miles (almost 21,000 km - it's half of the equator (! )).The cruise departed from New York to the Mediterranean and returned to New York. It took 53 days! The ship took mainly Transatlantic cruises from New York to Europe (Italy). Interest in the Transatlantic sailings fell by the end of the 1960s. It happened because of the beginning of regular flights between Europe and America and the introduction of the newest airliners. However, we've already talked about this in the articles about the history of cruises. As a result, both sisters were sold to Atlantic Far East Line in 1974. The ships' names were added a prefix "Oceanic." For example, Independence was renamed Oceanic Independence. The ship operated cruises under the flag of American Export Lines just for a couple of years. In the early 1980s, the liner began cruising under the flag of the new company, American Hawaii Cruises. 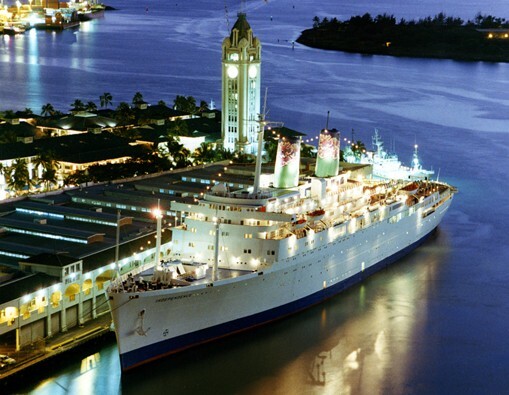 The ship operated cruises mainly around the Hawaiian Islands. In 1982, the ship got her old name, Independence. We've already mentioned Constitution, and for a good reason. The younger sister also became a part of this company's fleet. In April 1996, the owners decided to pension Constitution off. After that, some details of Constitution were used for the repair of Independence. By the way, after Constitution was retired, Independence became the last US built liner under the US flag! In April 1999, Independence took her thousandth cruise! In 2001, the company became bankrupt. In the end, Independence was up for auction after long trials! In early 2003, NCL bought her at that auction. Despite the purchase and the hopes of ocean liners' fans, Independence remained in the port for several years. 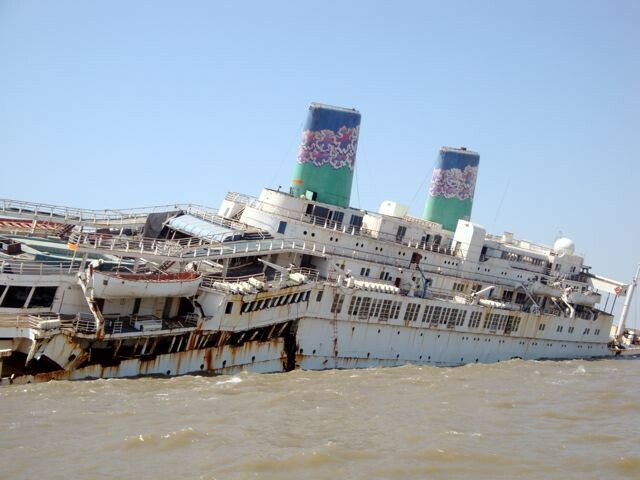 In 2006, it was rumored that the ship was going to be scrapped. The company renamed the ship Oceanic again to avoid speculation with such an important name as Independence. Until 2007, the ship was at the piers in San Francisco. In the summer of 2007, NCL sold the former Independence. In the winter of 2008, the ship departed from the port of San Francisco. In fact, it was the liner's "swan song." The ship was delivered to Dubai instead of being sent to Singapore. There she was illegally renamed Platinum II that was absolutely illogical. After renaming, the ship was sent to Alang. During this "operation," the question about the impossibility of the ship's scrapping arose several times: all toxic substances had not been removed from her. 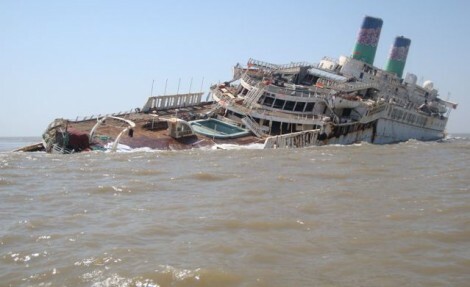 Anyway, the ship reached the coast of Alang in the fall of 2009. 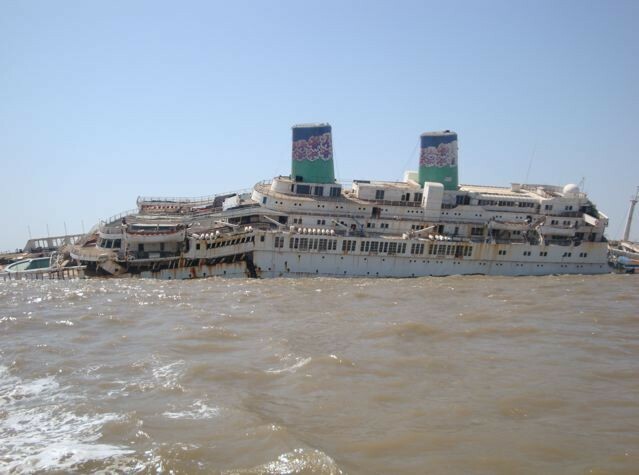 In the winter of 2010, the ship ran aground. After that, the former legend was destroyed. Pictures below are not for the faint of heart. Now we've got to another legendary ship. 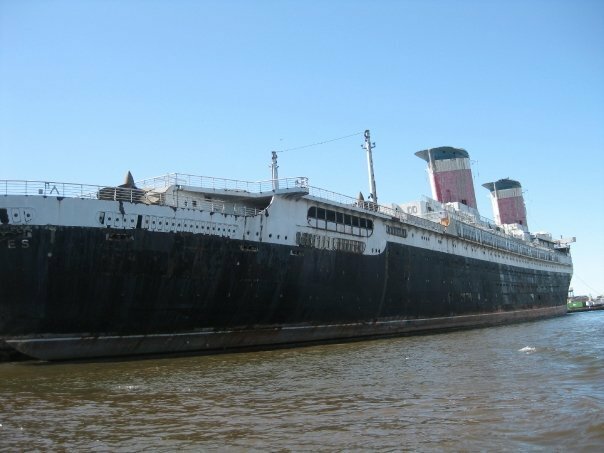 SS United States was also bought at auction in 2003. The history of this ship is quite well-known. By the way, we've already written about her in the historical articles. However, let's remember briefly. The ship was built in 1951 (she took her first voyage in 1952). The government assisted in this liner's construction. 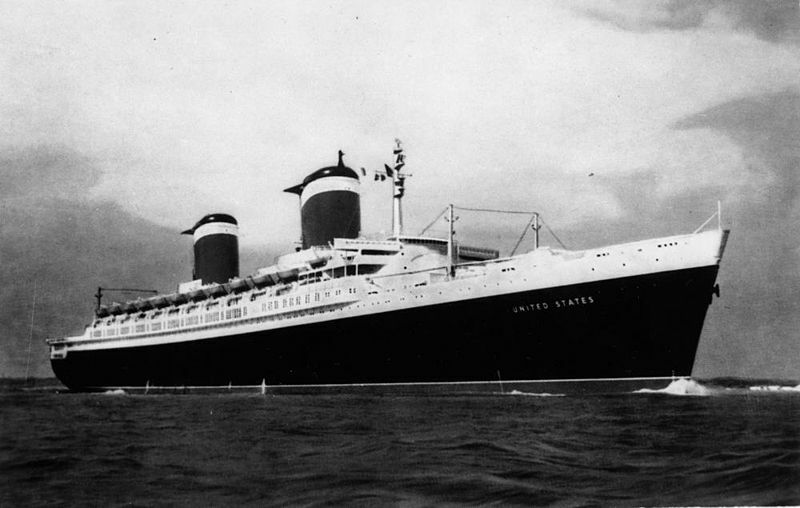 SS United States became one of the most modern liners. Besides, the ship was one of the few "mega liners" that were built at the US shipyards. By the way, the ship's cost was $79.4mln. In 2017, it would be $749 mln. 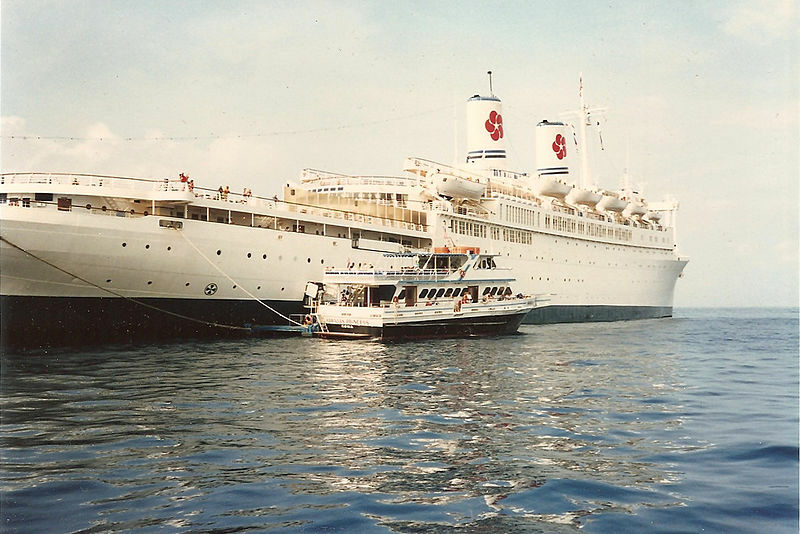 On her maiden voyage (July 1952), the ship became the owner of the Blue Riband. 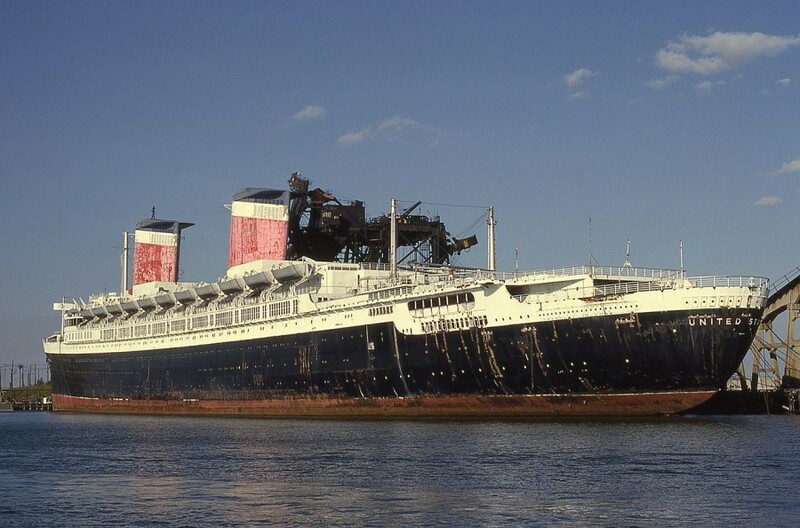 SS United States cracked a record of Queen Mary that had held it for 14 years! The liner crossed the Atlantic for 3 days, 10 hours and 40 minutes. The average speed was almost 36 knots (41 mph; 66 km/h). Despite this incredible record, there was information that the ship was able to reach the speed of 43 knots (49 mph; 80 km/h). In all fairness, we should note that this record has not been beaten until now! By the end of the 1960s, the ship suffered the fate of all transatlantic liners. In 1969, the world's fastest liner was laid up in the port. A few years later, the liner was moved to Norfolk. In the late 1970s, it was rumored that the ship would be purchased in the form of a floating casino for Atlantic City, but everything remained on the QT. In 1979, Norwegian Cruise Line was interested in purchasing the ship, but it bought SS France that became the famous SS Norway. 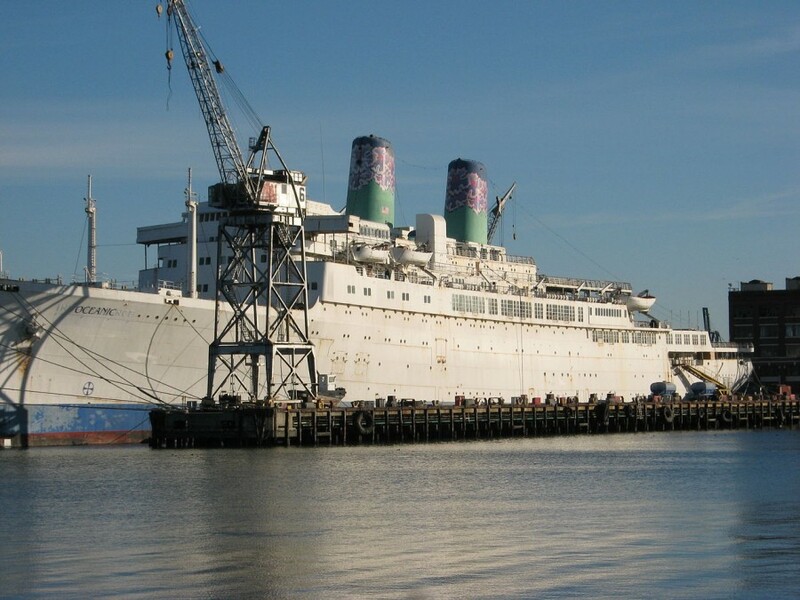 In the 1980s, there was an idea to turn the ship into a hospital for the US Navy. However, it was not successful either. By 1984, all the ship's furniture was sold. By the way, furniture became a wonderful decoration of restaurants and hotels in the area. In the 1990s, the ship was sold at auction to the Turkish company. She took the sailing from the USA to Turkey, and then to Ukraine. There she was staying at the shipyard of Sevastopol from 1993 to 1994. In 1996, the ship was towed from Sevastopol to South Philadelphia to pier 84. For the next few years, the ship changed hands. 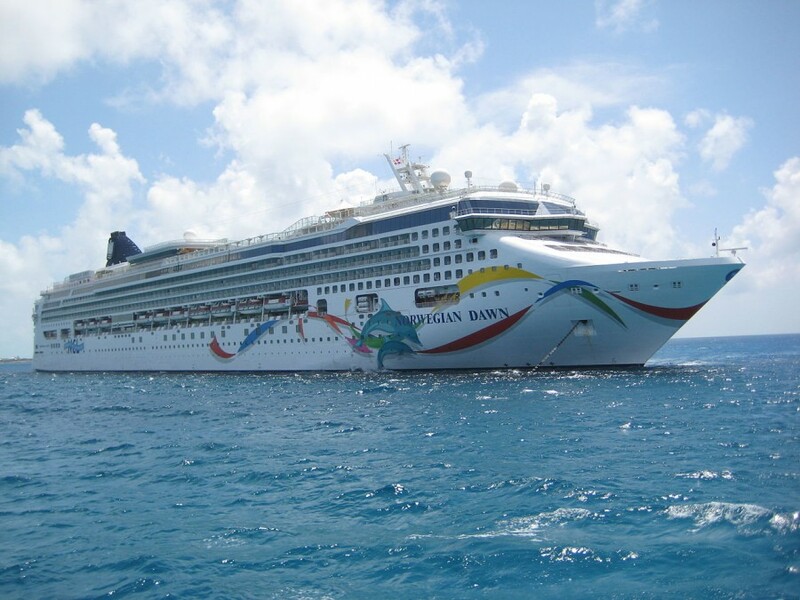 As a result, Norwegian Cruise Line bought the ship at auction in 2003. The company wanted to reconstruct the liner and send it to NCL America. By the way, Independence was also supposed to become the part of this company. Now we will reveal a little secret. Probably we know the reason why NCL bought liners that were built in the US. The fact is that the "Passenger Vessel Services Act of 1886" is still valid in the USA. 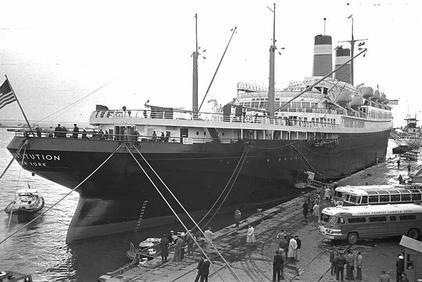 "No foreign vessels for transport passengers between ports or places in the United States, either directly or indirectly by way of a foreign port, under the penalty of $ 200 (now $ 300) for each passenger so transported and landed." 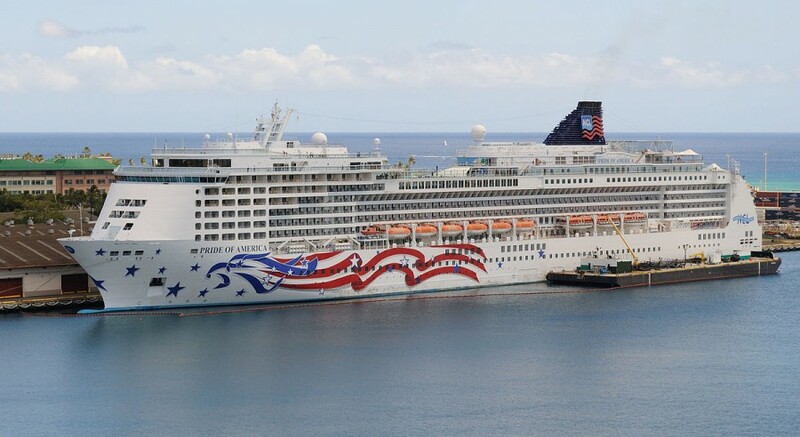 Given that NCL wanted to capture the Hawaiian market, the company's zeal becomes clear. Today, many companies find ways to circumvent this law. It seems like it does not apply to round-trip sailings. Perhaps, there are other loopholes. To date, as far as we know, there is only one ship, Pride of America, that is fully compliant with this law. But enough about the Law. Finally, we've clarified the motives. 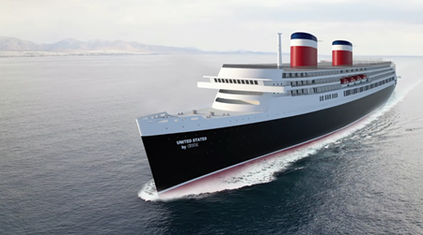 Let's go back to the history of SS United States. 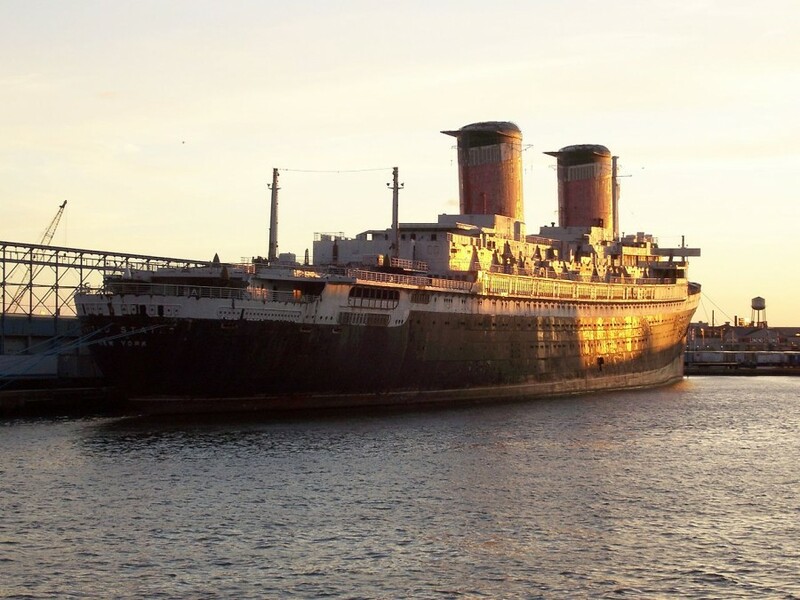 Despite strong statements that the ship will be reconstructed and the original furniture will be returned on the ship, the liner remained laid up in Philadelphia. By the end of 2009, there was information that NCL was looking for a buyer for this liner. As far as we know, there were attempts to buy the ship for scrapping. 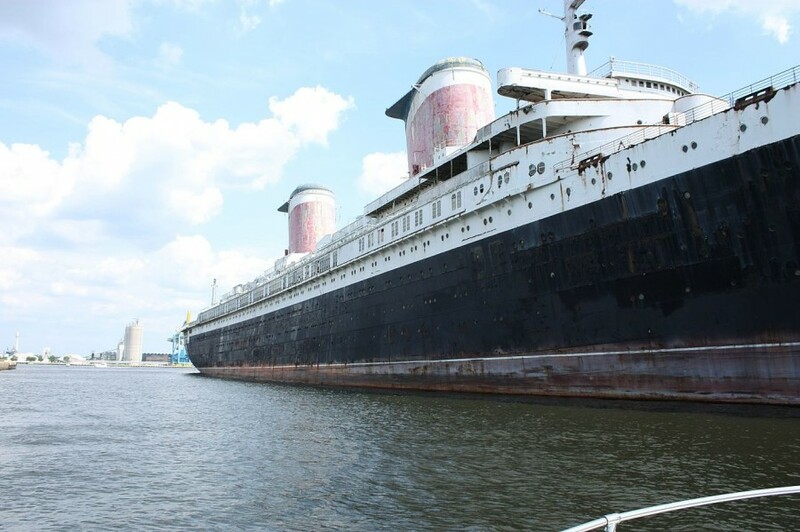 However, the fans in the face of SS United States Foundation and the United States Conservancy saved the ship. There were a lot of rumors that the ship would go to Miami and would serve as the hotel or an attraction there. In fact, like Queen Mary in Long Beach. It was also rumored that the ship would be sent to New York. We could finish this article on a negative note. On the fact that nobody wants this mega liner, and it has been docked for more than 40 years. And that most likely she'll have the same sad fate as other mega liners of transatlantic transportation's golden years. In 2016, it became known that one of the most popular premium cruise companies, Crystal Cruises, expressed its desire to purchase the liner. We all had a sigh of relief, but... Reality is always prosaic and sad. The company refused to purchase her because of technical reasons. At the same time, the company made a big donation to save the ship. At the moment, the ship's future fate is unknown. 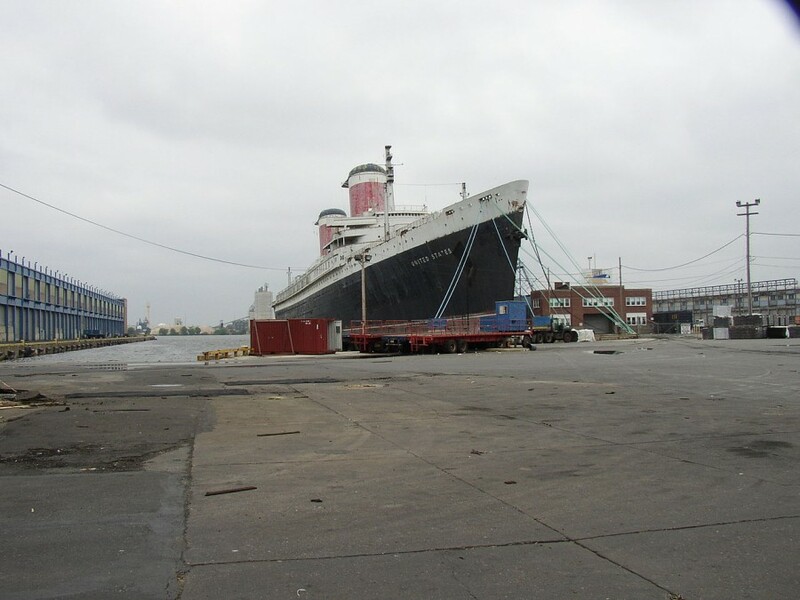 SS United States is still at the pier in Philadelphia, and you still have the opportunity to visit the ship. It is rumored that if the funding stops, the ship will be turned into a reef. It was the story of the legendary Norwegian Cruise Line ships that have never taken the cruise in its fleet. Just imagine these mega liners and modern NCL ships in the same port, for example, in the year 2004. And that concludes our series of articles about the former Norwegian Cruise Line ships. However, taking into account the current development of the cruise industry, we'll see the new-old ships of this company very soon.